Acksys | WiFi at the depot: how to automate the data collection ? 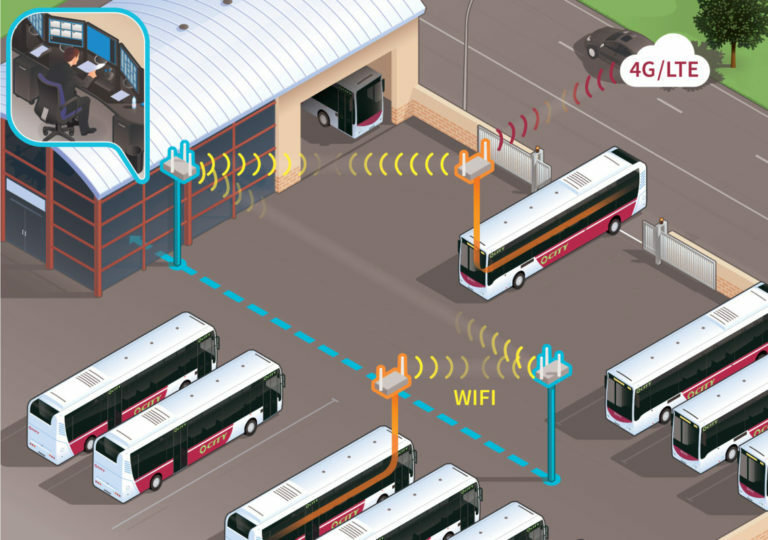 Solutions Bus & Tramway WiFi at the depot: how to automate the data collection ? To provide even more information and safety to users but also to manage efficiently their fleet, operators need to exchange real-time operating data in motion or at the depot/station (video surveillance, ticketing, passenger counting, PIS…) with buses and trams. > ACKSYS RANGE OF RUGGED WiFi/4G ROUTERS ALLOWS A RAPID AND AUTOMATIC TRANSFER OF ALL THESE DATA. To enable a reliable and simultaneous transfer of all these data coming from the various embedded equipment, ACKSYS’ solution offers advanced security functions (firewall, VPN, radius…) and streams mutualization functions (routing, filtering, VLAN, QoS…). Only one router per vehicle is needed, simplifying deployment and allowing reduced operating and maintenance costs.